When I bought my saddle back (I could have sworn I blogged about that whole lucky situation but can't for the life of my track down the post)- it came kitted out with Royal Rider Stirrups. 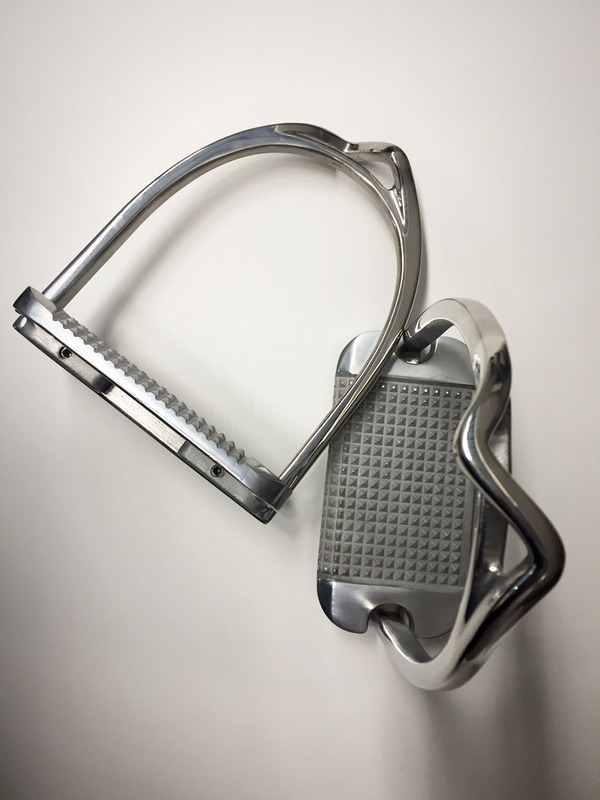 I haven't minded riding in composite stirrups...but since Ellie and I are heading into the Big Eq ring and all, I finally moved on a pair of MDC S Classic Stirrups thanks to the Smartpak 20% off sale and a gift card from Christmas (Thanks MOM)! With all of the glowing reviews from this community they've been on my want list forever. Aren't they beautiful? And thanks to Smartpak's new warehouse- ordered on Thursday night with a Monday morning arrival! We started jumping on Saturday over a series of single crossrails set on the diagonals and finishing with my "I Believe" grid from Thursday. Jaime and I were the two serious ones in the lesson with a few folks jumping around here and there. After the warm up, Ali set on of the verticals up and raised the Swedish from the cross rail version to something a bit bigger and had Jaime jump around. Then she lowered the Swedish Oxer for me back down to a crossrail but left the 2'9" vertical. Had a few bobbles but a great ride to the biggest fence (which is what counts right?). Then Ali set everything up to 2'9" for Jaime's course and as she went to lower them for me I sputtered out, "Why don't we just leave them." But I'd said it, so now I had to do it. We came around to the first fence off the right lead a little under pace and didn't find the prettiest spot. Onwards around to our left lead Swedish, inside right turn to the vertical, and down the grid. We hit some great distances! 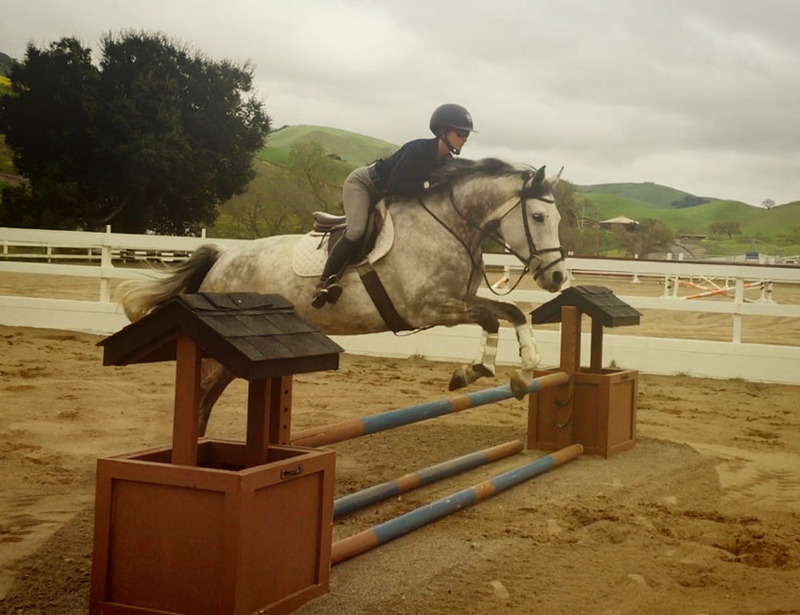 We had that same kind of ride today over slightly smaller fences- just going for it. And when did 2'6" ever look small to me? I think we've hit this great transitional point where I'm feeling ready to move up and more importantly, trusting Ellie to take me to the other side. Finally getting a hint of the partnership I'd been hoping for! I sometimes feel like the barn can be a total time warp. Like I pulled in this morning already thinking I had to make things short so I could get into the office. But when you're actually there it's a lot more fun to chat, look at the board, and brush Ellie's tail than it is to hurry up and get going on to the next! We had a pretty bang up lesson today and Ali said she was pleased to see that I was riding so confidently. 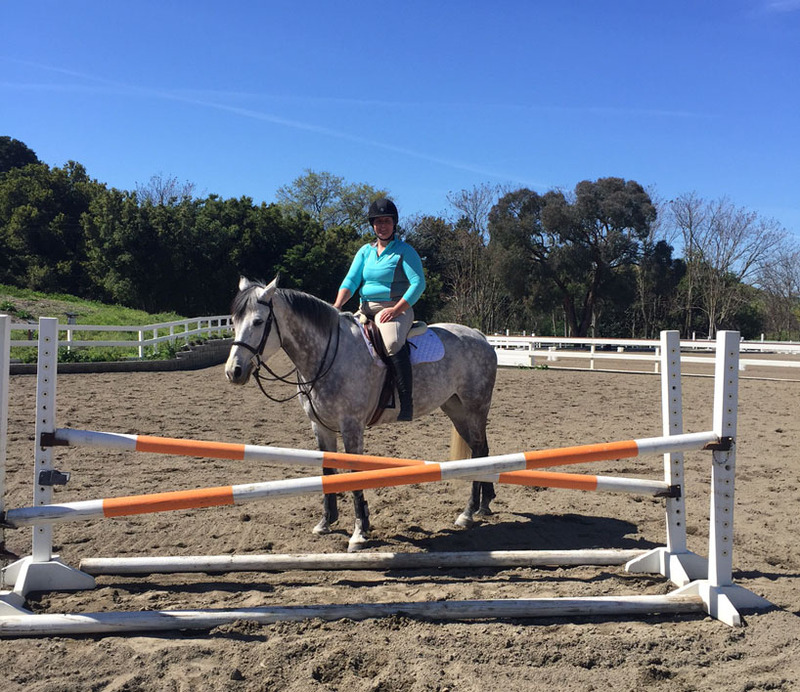 We worked through a grid, two stride to two stride, with the third fence set a little longer which led to a few chippy three strides. I need to BELIEVE that I'm not going to die. We landed the grid and carried on to a few rollbacks. 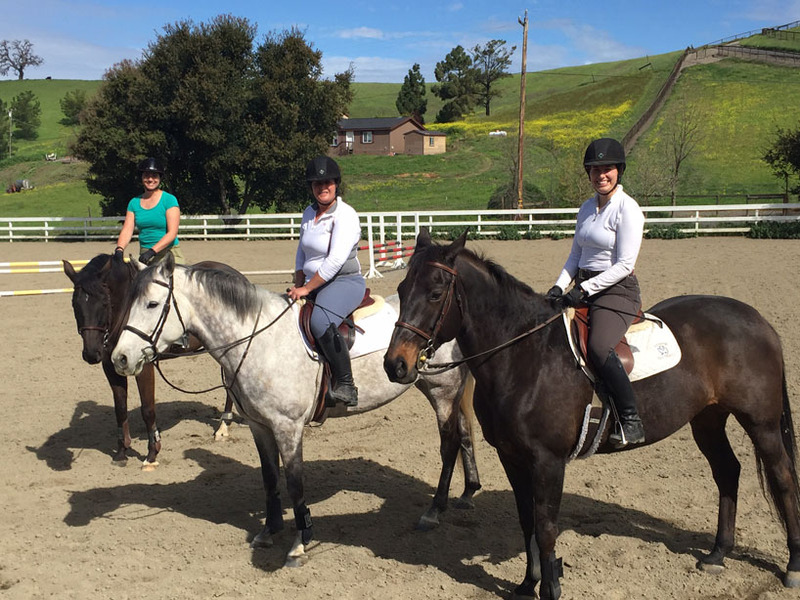 Great practice because.....we're doing a HUNTER DERBY!! Yes- we are entered into our very first...2ft Derby. My friend may have rolled her eyes today when I suggested we go shopping for Shadbelly coats. I pulled the trigger on the April Brookside show because I want showing to become less of a "DEAL" and more of a fun thing. And it's coming up in a cool three weeks time. Very exciting! 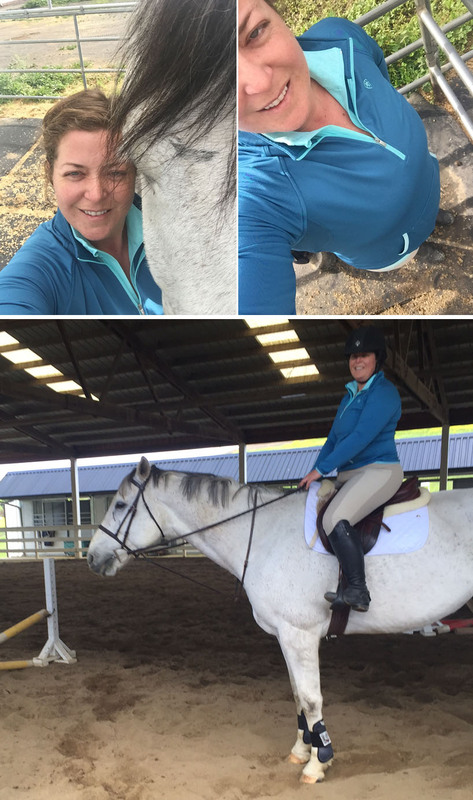 Tracy shared a fun post she'd found about us Corporate Cowgirls and I managed to get a snap of my very own barn to office attire- The Ariat Heritage in Mulberry, Odyssey in Gray, and a sweater thrown over top. Very athe-leisure. You know when you're deleting the mountains of junk mail in your gmail box and something catches your eye but you've already hit delete and you're like "nooooo" and it seems to have disappeared into the ether? 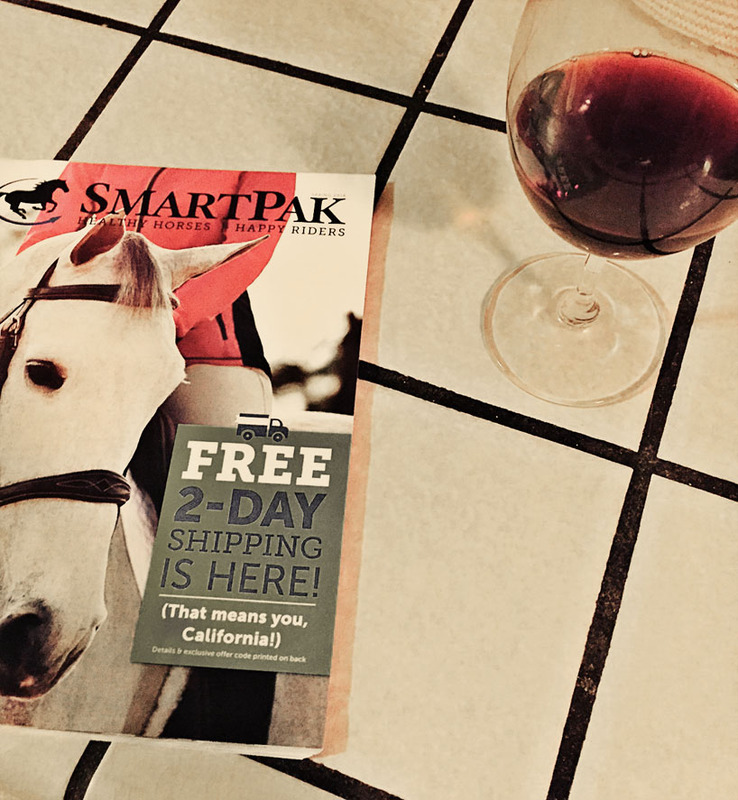 That happened the other day with Smartpak's Free Two Day Ship email....was it just a figment of my imagination? SP usually has a 7 day turn to make it out to CA! Luckily not- and I swiped a coworker's catalog before coming home to find my own. Just in case. Since I have an AQHA number they've occasionally been known to send me their Western version of the catalog. I'm sorry- I just can't get as excited. So I'm making dinner (zucchini spaghetti as an excuse to buy red wine and put a dribble in the marinara and the rest in my tummy) and perusing all of the fun items I can get in a blink of an eye! Amazon Prime level? For an equestrian...pretty damn close. 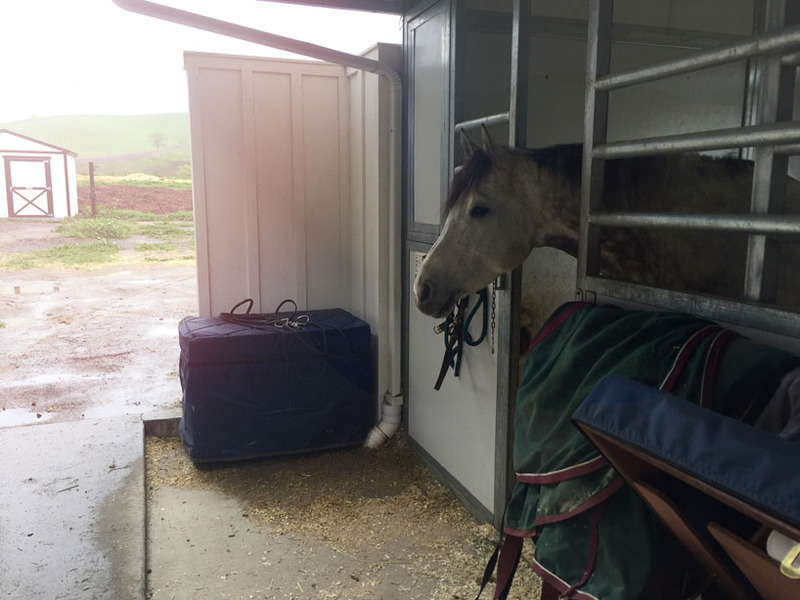 While some of the team has been down at Thermal the past two weeks, Westhaven made sure that those of us at home were well taken care of by some fill in trainers. We were supposed to be lessoning with Joan on Sunday but she was a no show. What in the world should we do? Wait to see if Joan shows up? Go ahead and hack? We did what most normal, resilient adult riders do. We taught each other through a mini course of poles and crossrails, enjoyed the lovely weather, and grabbed a pic or two. Joan is OK- was just under the weather and I think one of our working students, Paige, was surprised to see how self sufficient the adult ammys had become when left to their own devices. My lessor had called last Sunday, asked if Wilbur was always so spooky, and shared that she'd fallen off earlier that week. Uh-oh...I steeled myself for the bad news and was surprised to hear that she was still on track for the purchase. I let her know that she was welcome to extend the trial and assured her that Wilbur has a forever home should it not be the right match. Of course the first two weeks of March kicked off with downpour after downpour- not ideal conditions for a pasture board trial period. Maybe if the rain just got a little better!!! So after a week filled with beautiful weather, I stopped out after my ride on Ellie to try and catch a little bit of Lessor's lesson and pick up the lease paperwork. We passed each other in the drive and she said, "I just have a gut feeling and am going to have to pass on him. Have a nice life." She also shared that some students had been roping in the arena and Wilbur was panicked. She, like all the other's who have tried him, need something a little quieter. We wished each other well and, while disappointed, I was also glad. Wilbur needs to find the best match for him and if it's not right let's move along. I popped a Corona and settled down to chat about next steps with his trainer. I shared what Lessor had told me about the panic roping situation. What in the world did he do? 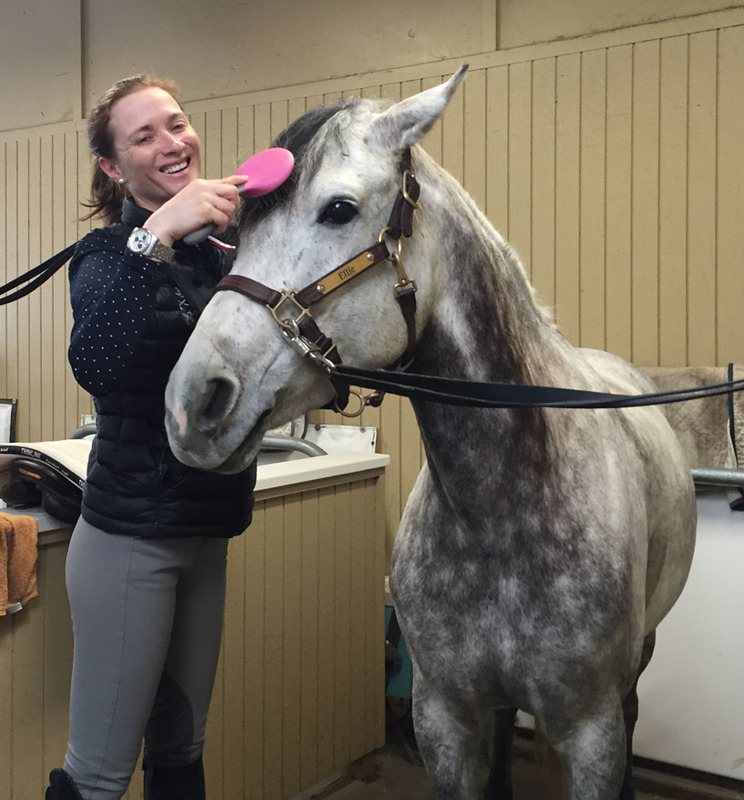 According to trainer Amanda? Nothing, He didn't lift a hoof or even turn his head when they were flinging ropes behind him...his eyes just got a bit bigger. I'm not writing this to suggest there was anything wrong with Lessor's assessment of what constitutes panic. I'm speaking more to each rider's different interpretation of what spooky, panicked, and wild means. For me the definition of spooky is very different from that of Lessor. Ellie was feeling pretty fresh on Friday and decided to run off with me a few times right as we passed the very same corner that housed the mounting block I climbed up in a short while earlier. Not my favorite behavior but not a deal breaker by any stretch. Wilbur seems to be attracting a certain demographic of rider. 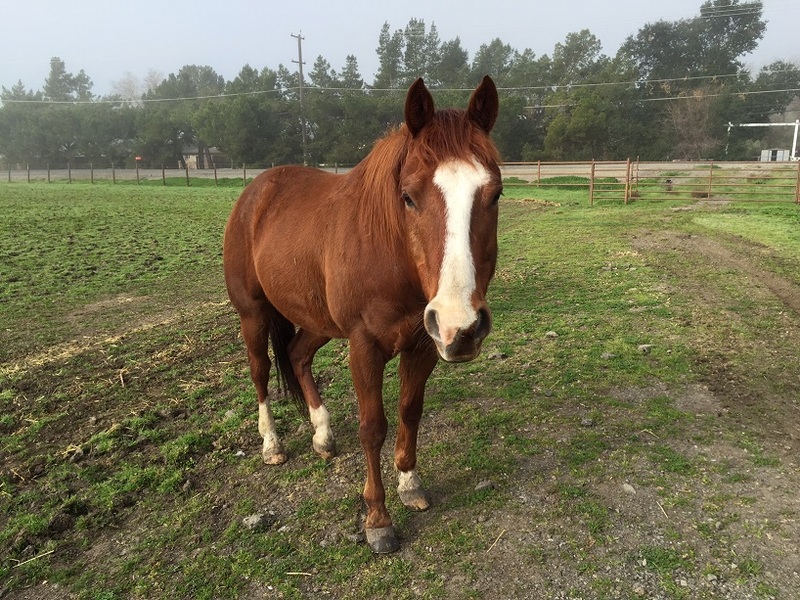 Generally older, somewhat self taught, looking for a pleasure horse. And while there is a lure with a flashy horse with a good "handle," they are quick to find that they are actually looking for a horse that won't flick an ear as a tarp blows past them. After reading and re-reading his ad- I can't find anything that suggests he's a packer on the trail. So what now? Amanda and I agree that we don't feel confident we'll find him a home in the Western market. I think a sensitive horse is more generally accepted in the English discipline and for crying out loud- he's not bad! He just stands there in a nervous state- he doesn't bolt, buck, or rear. He IS fancy, he DOES have a good handle, and he'll try his heart out to do what's asked. Personally I think he would make a great lesson horse. 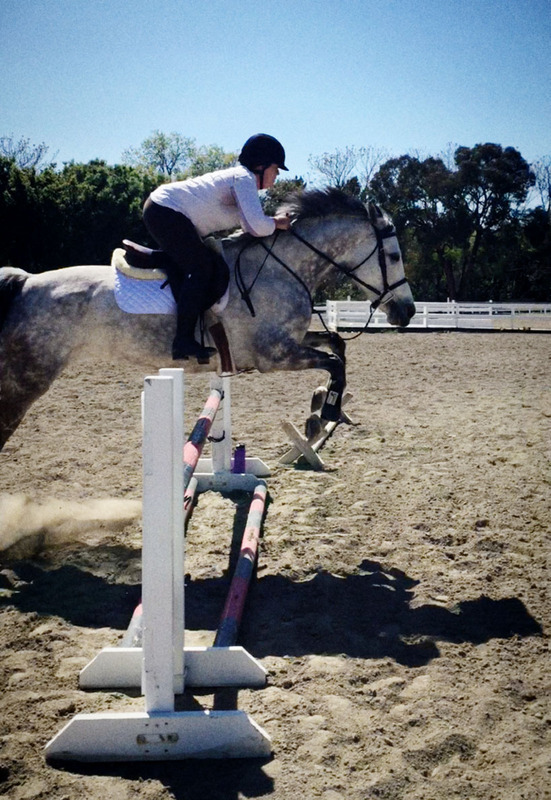 He's comfortable in the ring and can handle flat work, poles, and low crossrails. Not a rank beginner horse- but a kid who's got a few rides under their belt. When I was growing up all the lesson horses had something- this one was spooky, this one would buck, that one would run off with you. It teaches you how to ride! So his ad is down. 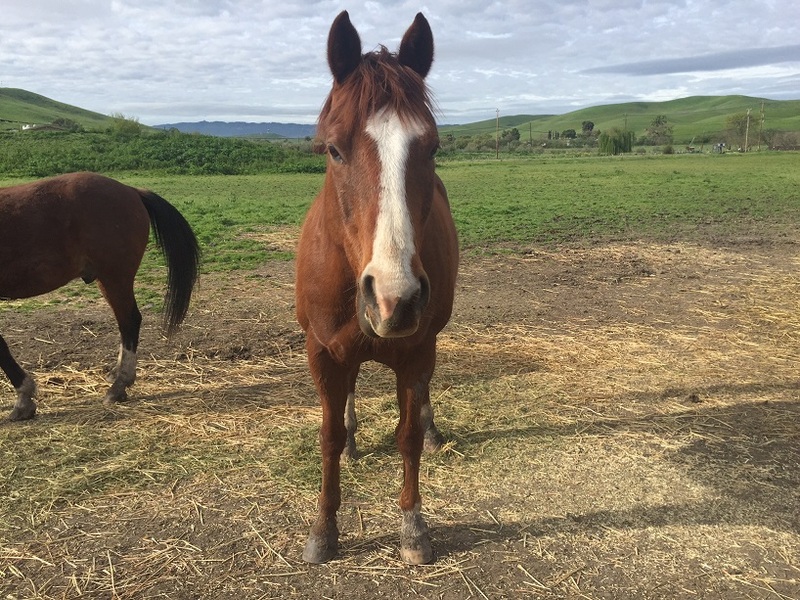 The Westhaven team is on their way back from Thermal and we'll borrow him for a week or weekend to visit the barn and Ali can assess where he is and a best fit for him. I think he's fabulous so I'm super excited have the chance to ride him. Ellie no longer likes sparkle bit- Wilbur will freakin LOVE it! And my husband is sighing because he knows it's a real possibility that I'll just carry on with both the horses at the same place and spend more money. It's been a weekend of unrelenting rain and I think we're all tired of being stuck indoors. The barn's eurosizer and round pen are not currently covered and there's limited opportunity for turn out given the weather over the past two weeks (Ellie's stall actually flooded so she's squatting in a neighbor's who is gone at Thermal) so the horses are bored and going a little crazy. 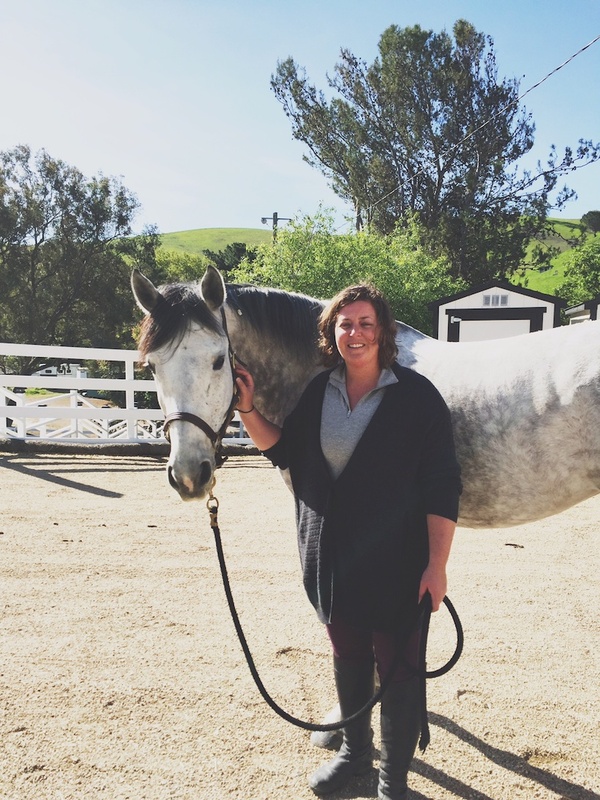 I've known the instructor filling in while the team is at Thermal for years so it was fun to reconnect with her at Fairmont and to show off Ellie. Correction- show off a demon who had forgotten that she can canter on the right lead. I'm going to chalk it up to the weather which is expected to clear up this week. All will be well once we're back in the outdoor and on our regular turnout schedule- I'm sure of it. This face is precisely why I've got a cart full of brushes from Teddy's Tack Trunk. Someone has some serious Mare Glare going on! In an effort to brighten up an otherwise gloomy day I decided to bust out my best Spring colors! 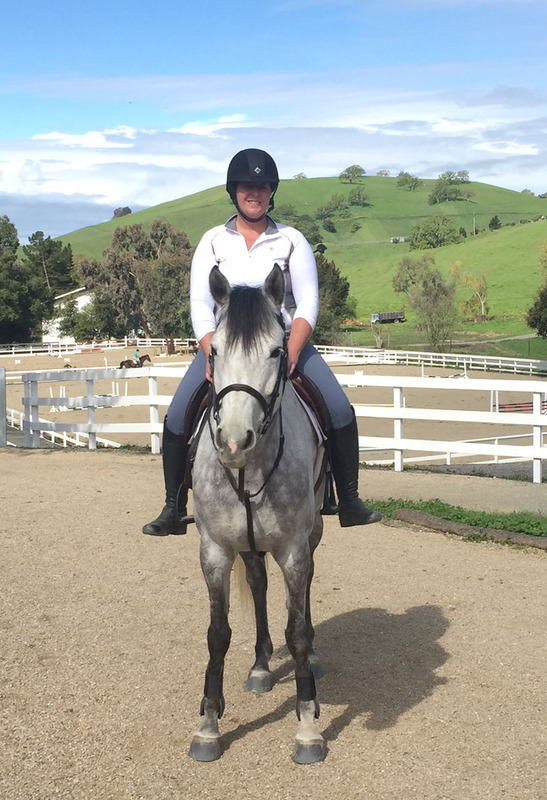 I enjoyed reading Aimee's Post about being a Tack Ho but not a Riding Outfit Ho. I'm much more the latter, and you'd think that having things merchandised for me in front of my face would make it easy to put outfits together. Yet I continue to buy pieces and on a Saturday morning when I'm getting ready to head to the barn...nothing seems to go together. I end up in the same boring old White Sunstopper. Breeches. 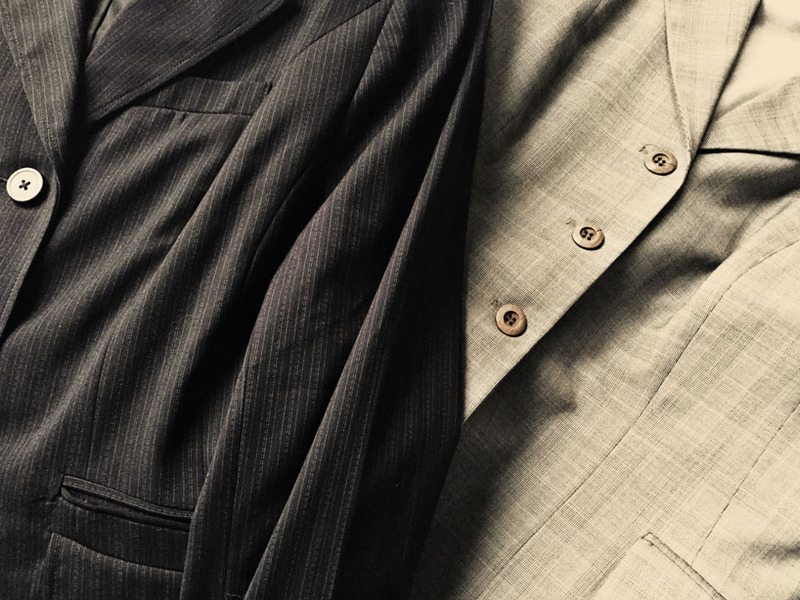 Maybe a jacket. showcased perfectly by my second ride of the day on Moose! Wilbur is on a 30 day trial that started earlier this week on the 1st! All fairly sudden- I had gotten a text from Amanda that someone was interested in a 1 month lease and I was like- how does this help anyone? I went out and met the gal- a re-rider who was looking for a pleasure horse and actually knew Amanda from years back. So a lease actually meant a trial- with potential to extend the lease or buy at the end. I got a message that she had a good lesson on Friday and was planning to stop out this weekend as well. Assuming all goes well she'd like to buy him and keep him at Brown Ranch which means I can wave on my way to go see Ellie! So fingers crossed! I'm not sure how anyone could not fall in love with this face!